Before making an IRA contribution the major question many individuals have during tax time is which type of IRA should I contribute to, and which one is better for me? The answer is, only the tax payer can know that. Although there are tax benefits associated with a Traditional IRA, such as the potential tax deduction of contributions and tax-deferred growth of the earnings, the benefits of a Roth IRA go beyond just the tax-free distribution of earnings when deciding which IRA is best. In a Roth IRA, contributions are not tax-deductible. In essence the contributions are treated as having been taxed already. Roth IRA contributions can be distributed at any time with no tax or penalty implications. Flexibility of access to retirement savings is a feature many are attracted to in a Roth. Roth distributions also follow the ordering rules. Contributions are deemed to be distributed first from any Roth IRA one owns. or up to $10,000 of the earnings can be used for the purchase of a first time home. Once both have been satisfied, all distributions from any Roth of the individual will be tax-free forever. In deciding which IRA is best during tax time, a tax-payer must put into consideration additional variables. 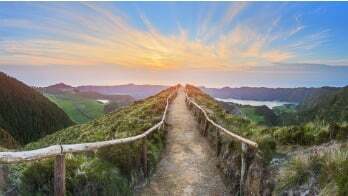 Questions such as what if I die or become disabled, does a tax-free distribution from my retirement plan outweigh the tax deduction from a Traditional? For younger persons, saving for their first home down payment may be a good reason for a Roth contribution. As illustrated, there are many additional factors to consider. For persons approaching retirement or who are in retirement, taxation during retirement may be a big consideration. There’s a saying “It’s not how much money you make or have but how much money you get to keep.” That saying goes for retirement plans. It’s not only how much has been accumulated in it but how much do you gets to keep when you take a distribution? Taxation of taxable retirement plan distributions is dictated by the taxation laws in effect during the year of distribution. For Roth IRAs, that variable is eliminated. 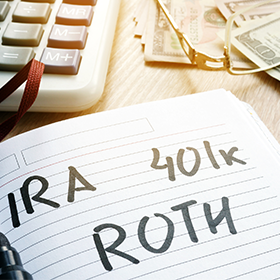 The tax-free nature of the Roth IRA also does not affect the taxation determination of other benefits during retirement such as Social Security. Roth IRAs may also be used as a means of saving for education. Although education is not one of the criteria for taking a “Qualified Distribution” from a Roth IRA, remember the contributions may always be distributed at any time tax and penalty free. During the 2018 tax year, with the passage of the tax cuts and jobs act, many may experience a dramatic lowering of the amount of taxes they will owe because of the tax cuts incorporated in the new law. A tax deduction may be a moot point and considering a Roth IRA may be a good alternative. As for any decision involving taxation, it is good to consult with a good tax advisor. Professionals like CPAs, CFPs, Financial Advisors, banking personnel, brokerage firm representatives and other professionals need to stay educated to help their clients with questions they may have along all these retirement phases. IRA Academy provides professionals with educational classes on IRAs and IRA-based employer-sponsored plans. This event is open to anyone who wants to stay competitive in the retirement field. To receive more information about the 2018 IRA Academy, or to take advantage of the event early bird pricing, please visit our site. You’ll be among the first to know about the agenda, curriculum, and registration details.